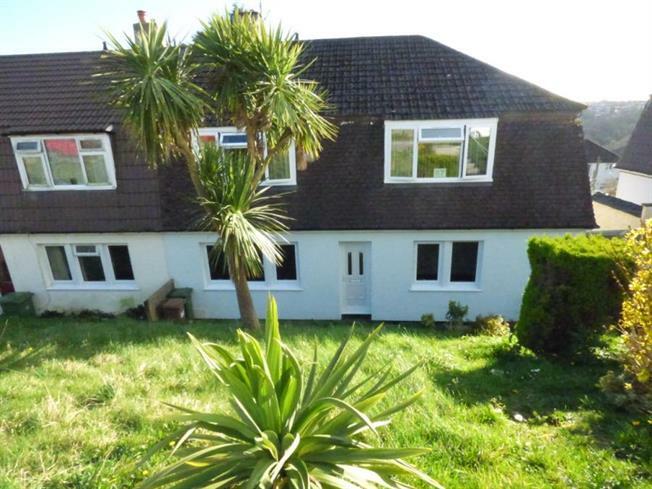 2 Bedroom Ground Floor Flat For Sale in Plymouth for Offers Over £75,000. CASH BUYERS ONLY. Smart and well maintained ground floor flat providing spacious and well appointed accommodation. Benefitting from gas central heating and double glazing with two double bedrooms, modern fitted kitchen and bathroom and boasting a generous size rear garden. An ideal and affordable retirement flat or buy to let investment. UPVC entrance door, airing cupboard. UPVC double glazed windows facing the front. Gas fire and radiator. Modern fitted with ample wall and base units. Integrated oven and hob. Plumbing and space for washing machine. UPVC windows facing the rear and door leading to the garden. A modern fitted suite including a low level WC, wash hand basin and panelled bath with a shower above. The flat boasts both gardens at the front and rear which is a generous size and laid to lawn with 2 handy storage sheds.